Linda Hutcheon is now Professor of English and Comparative Literature at the University of Toronto. Her many books on literary subjects have established her as a major literary theorist in North America. 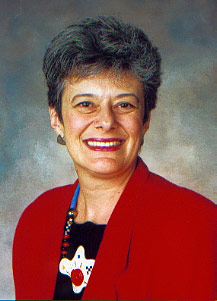 These achievements were recognized when she was elected president of the Modern Languages Association in 1999. She has also been awarded a Guggenheim Fellowship and honourary doctorates from McGill University and the University of Antwerp. Her books have promoted a greater understanding of modern fiction, parody, postmodern literature, irony, feminist theory and ethnic minority writing in Canada. Her studies on postmodern theory demonstrate the interdisciplinary nature of her work, but none does this better than the Opera: Desire Disease, Death, which she co-wrote with her husband, Michael Hutcheon. See the selected bibliography below. Linda Hutcheon was born in Toronto into an Italian-Canadian family. She attended the University of Toronto where she earned a B.A. Honours in Modern Languages (1969). Her M.A. in Romance Studies is from Cornell University (1971). She returned to Toronto and earned a Ph.D. in Comparative Literature (1975). For the next twelve years she taught English at McMaster University, in Hamilton, Ontario, and began to publish her books on literary theory. In 1988 she joined the Comparative Literature program at the University of Toronto where she became one of the most sought-after teachers. She has been visiting professor in several universities in Italy, Puerto Rico and the U.S.A. and has lectured across North America and Europe. See her essay, "A Crypto-Ethnic Confession," about the relations between her ethnic background and her writing.